Massive outbreaks have been reported in sheep in the past. More than a million sheep died in Griqualand west in 1929/30 and again in 1954 about 55 000 sheep died. Angora goats are also susceptible but the symptoms are different. A combination of these may occur. 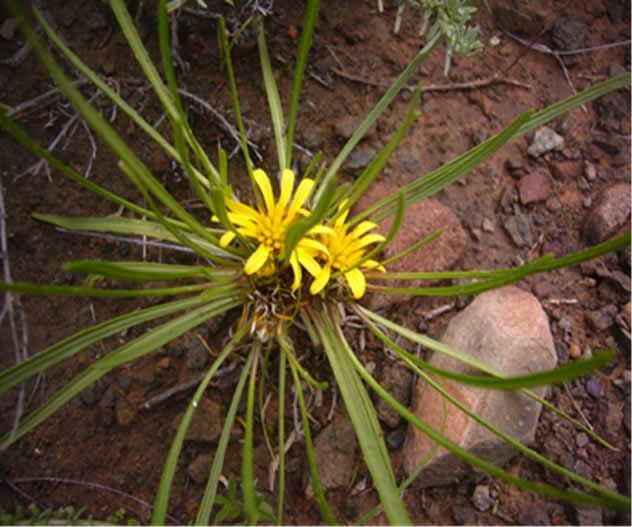 The poisoning is caused by the plant Geigeria ornativa which is distinguished by it’s narrow ribbon like leaves (about 10cm long) and daisy like flowers. 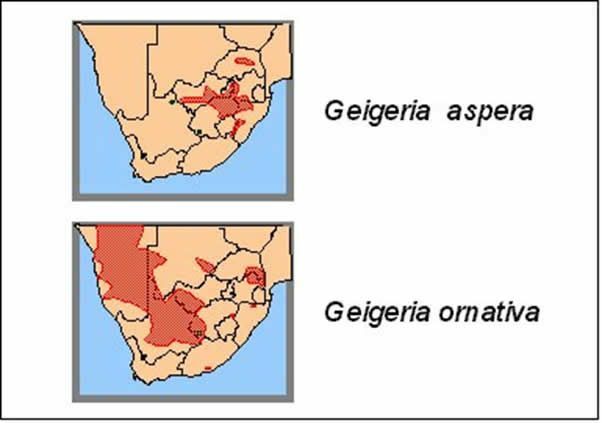 In general it takes from a few days to three weeks for this condition to develop in Geigeria ornativa infested veld. Weakness and anorexia are seen first and animals tire easily when they are herded with the rest of the flock (lag behind). Sheep show regurgitation, bloat , stiffness and paralysis which can be seen in goats but the stiffness and paralysis are the most common signs. It can often be confused with ‘krimpsiekte’. The active principles from these plants are all sesquiterpene lactones (C15-compounds) and a series of these have been isolated, the most important being geigerin, geigerinin and vermeerin. In trials over 2kg had to be fed over 3 days to induce symptoms. What does the toxin do? Striated muscle degeneration and necrosis take place and it affects especially skeletal and oesophageal musculature. Usually negative but signs of pneumonia (aspiration) and necrosis of the oesophagus with dilation. Plant Poisonings and Mycotoxicosis of livestock in Southern Africa. T.S.Kellerman, J. Coetzee, T. Naude. © SA Mohair Growers - 2019 | Links | 'Vermeersiekte' Geigeria spp.